The low-cost all-in-one solution with content server, RF modulator, GPS receiver and amplifier integrated in one unit. We are pleased to announce our low-cost solution for DRM30 and AM/AMSS broadcasting. 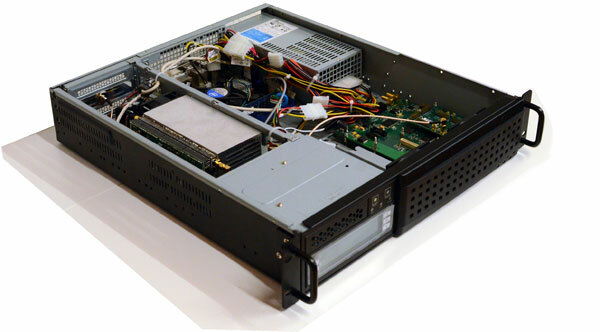 Transcinity ONE offers a complete exciter solution for operators of cost-sensitive local radio stations that are looking for an economical way to participate within the advent of the Digital Radio era, or research facilities that require a flexible digital broadcast tool as laboratory and fieldtest equipment. An integrated power amplifier is available as option. It allows for operation as a medium range direct transmitter or for driving external highest power PAs. Based on state-of-the-art RF-MOSFET-transistors, it is achieving exceptional signal performance which is necessary to fulfill the demands of today's digital broadcast standards.